very disgusting.. but ppl still smoke regardless the pic is on the cigarette box..
no no, the pic is nice, the pic on the box is disgusting, the cigarette is addictive. 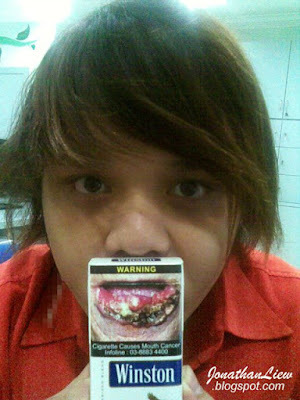 hahaha.. yaya, i mean the pic on the box..
xD hehe i heard they said only those that smoke many packs per day then can kenak. 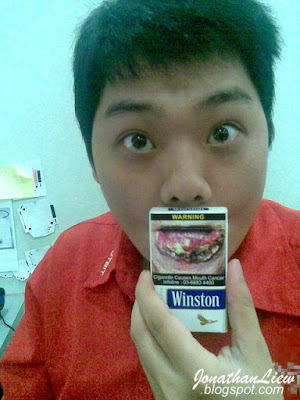 hahaha.. i don't smoke, so i don't know..